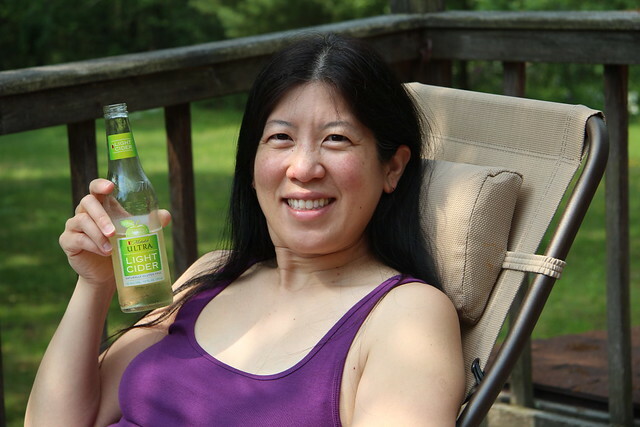 When summer weather arrives, there is nothing more refreshing for adults than a cold hard cider. Let’s face it, when it’s time to relax from a hectic day at work or with the kids, it is great to reach for something refreshing, that isn’t the same old beer or wine. Traditional hard ciders tend to be super-sweet, which also means tons of calories, often over 200 calories. Michelob ULTRA Light Cider is different. Imagine a crisp, ripe apples, turned into cool, refreshing goodness at only 120 calories. Images from www.Facebook.com/MichelobULTRA, collaged by me. We’ve tried many brands of hard ciders in the past and most of them are simply too sweet. A lot of them are similar to wine coolers from the eighties. The first sip of Michelob ULTRA Light Cider was completely different. It definitely had the taste of tart apples with just a hint of sweetness, more along the lines of wine or specialty beer. Michelob ULTRA Light Cider is naturally sweetened with stevia, which keeps the calories 120 for a 12 oz. bottle. It is definitely lighter than traditional hard ciders, but with plenty of authentic apple flavor. If you’ve shied away from hard ciders in the past because of the sweetness or calories, you should definitely try Michelob ULTRA Light Cider. For more information, check out the Michelob ULTRA Light Cider page on BlogHer.com as well as the Sponsor’s site. Remember, always drink responsibly and never drink and drive. 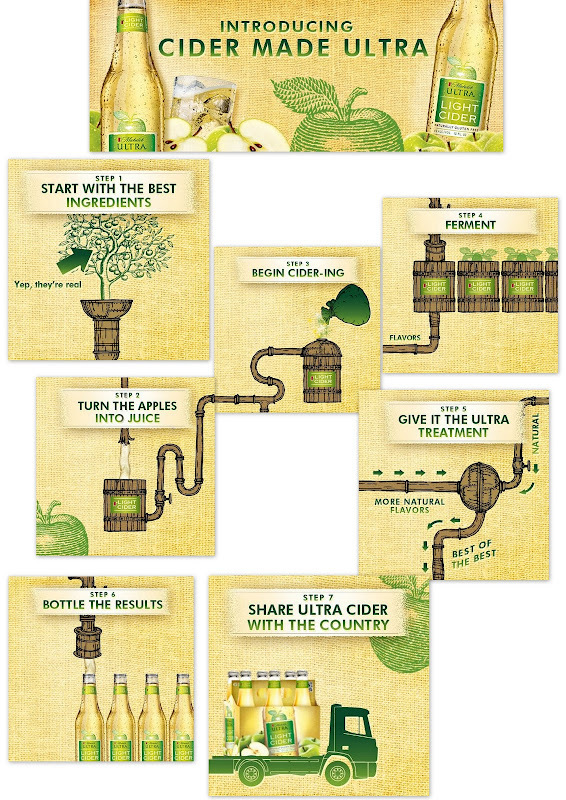 So tell me, what would be your favorite way to enjoy Michelob ULTRA Light Cider this summer? Let me know! Cheers! Disclaimer: Michelob ULTRA and BlogHer provided Michelob ULTRA Light Cider for review as well as compensation for the post. The opinions are strictly my own! Looks yummy--would love to have some while sitting on the patio and relaxing with friends. Traditional cider is not sweet at all. Traditional cider is in fact very dry. The woodchuck and hornsbys cider sold in supermarkets is more akin to Mikes Hard lemonade and the aforementioned wine coolers than real cider. Find a Total Wine/ Total Beverage or a Whole Foods and they should have some great varieties of good, fresh traditionally fermented farmhouse cider.